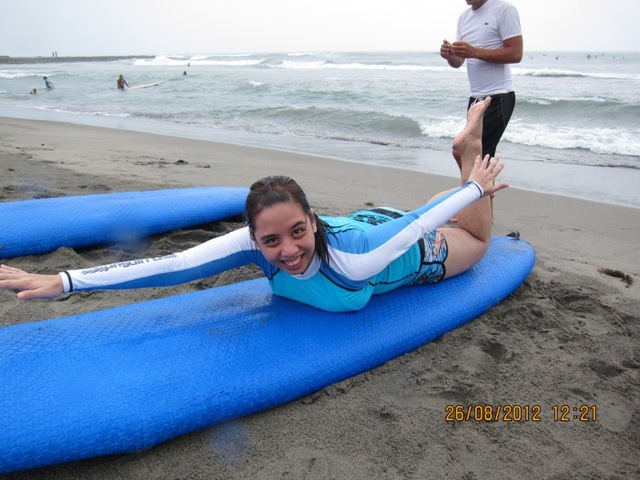 Road Trip: Surfs Up in La Union! | Viva La Vida! 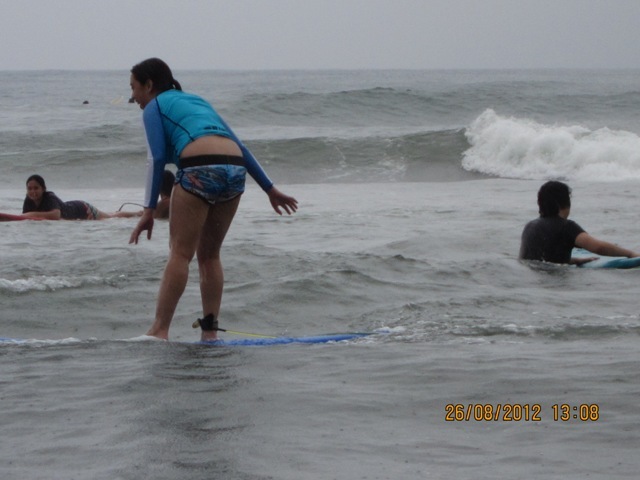 Road Trip: Surfs Up in La Union! We’re very fortunately to enjoy two back to back long weekends! 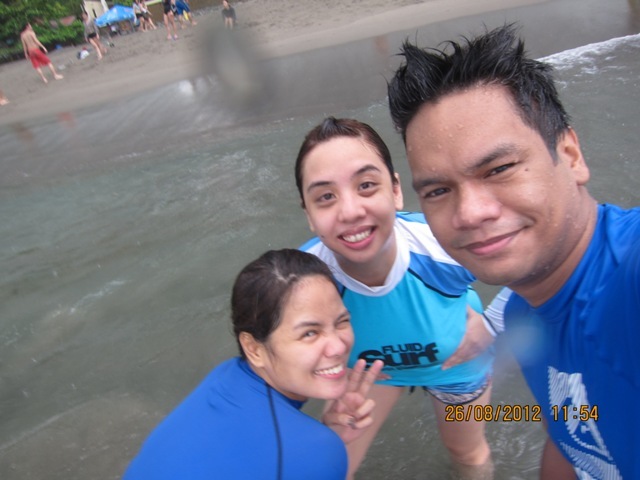 And for the second long weekend, my officemates and I took a road trip to San Juan, La Union, also known as the surfing capital of Luzon. 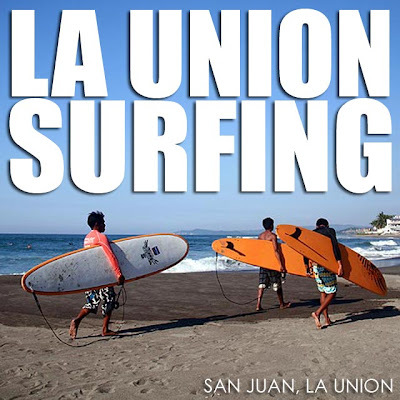 San Juan is a town in the province of La Union, located at the north western part of Luzon and is famous for its surfing spots and beaches. It is accessible via car from Manila, about 4-5 hours away (depending on traffic and number of stop overs), or via bus going to Ilocos. 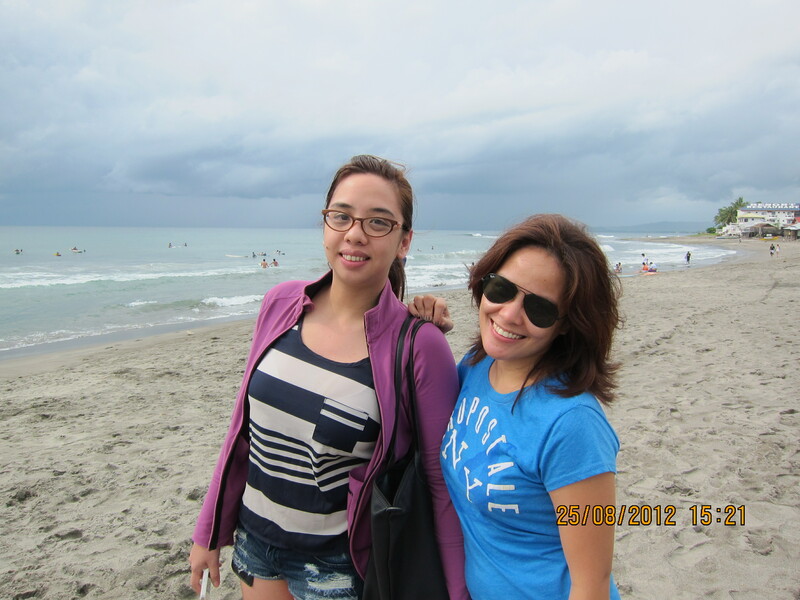 It was our first time to go to San Juan, but not our first time to surf. However the last time I hopped on a board was way back in 2009, so I am a little rusty and apprehensive when it comes to surfing. 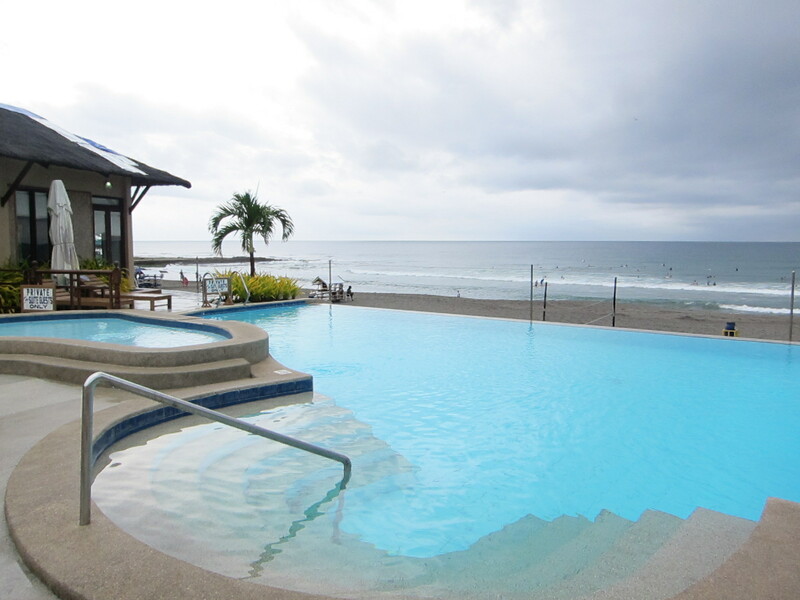 We checked in at the Kahuna Beach Resort, one of the nicer resorts in the area. It was actually very comfortable and reasonably priced, although this is given they are at low peak rates. 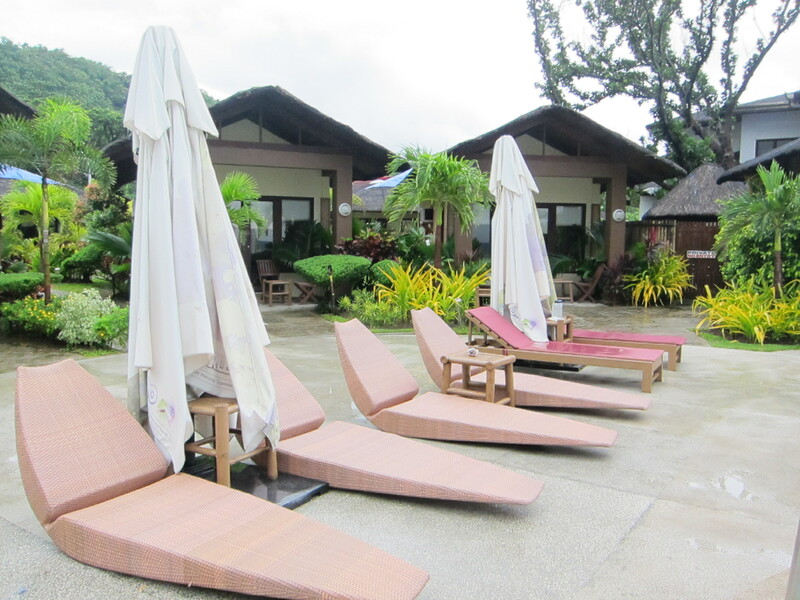 It had garden rooms like little villas and had its own pool, spa and direct access to the beach. 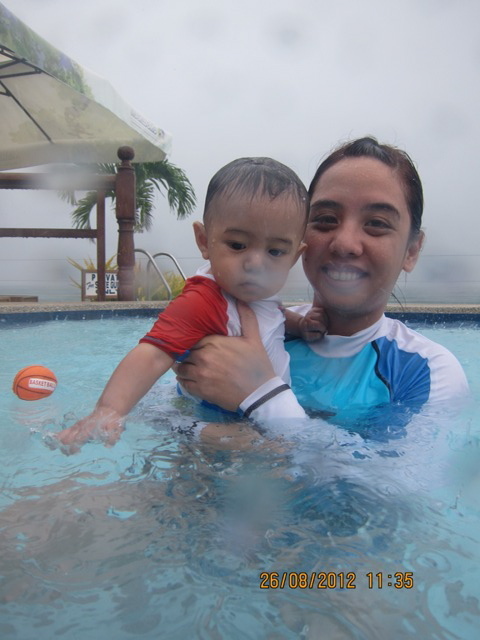 We were tired from our long drive that Saturday so we mostly spent time resting, sitting at the beach and swimming in the pool. Since we had the whole day of Sunday, that’s where all the action began. 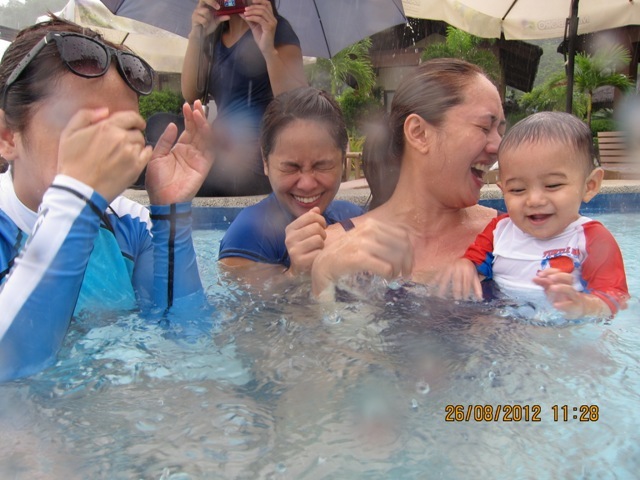 We spent the first part of the morning playing with baby Shawn in the kiddie pool as its his first time to swim. 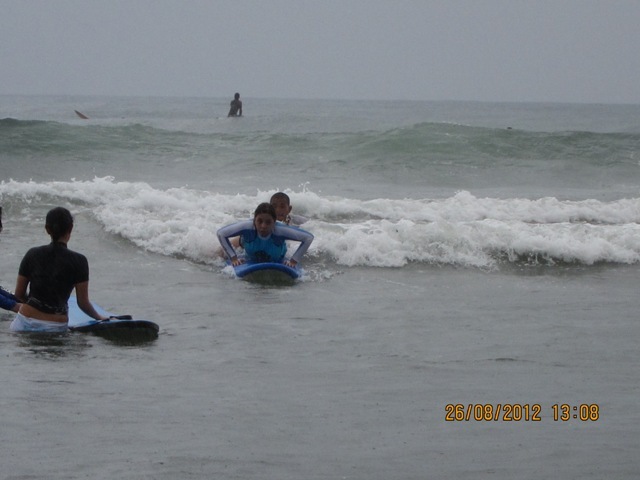 Then it was time to conquer the waves of La Union! 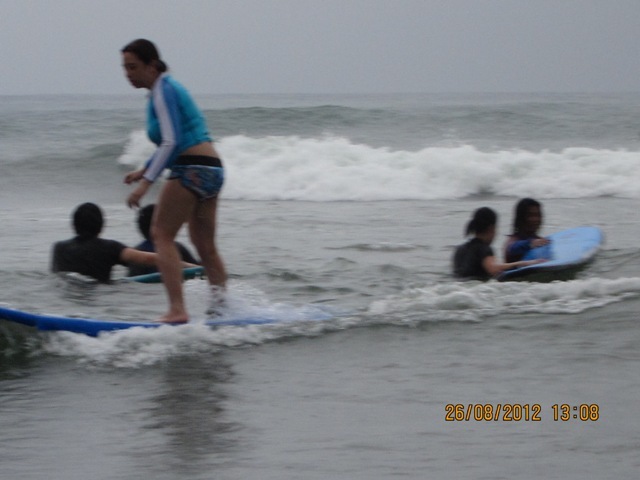 As mentioned earlier, I haven’t surfed in years so I was a bit apprehensive with conquering the waters of La Union. The waves actually looked scary and with the constant rains and southwestern winds blowing, the waves were coming in droves along the coast. 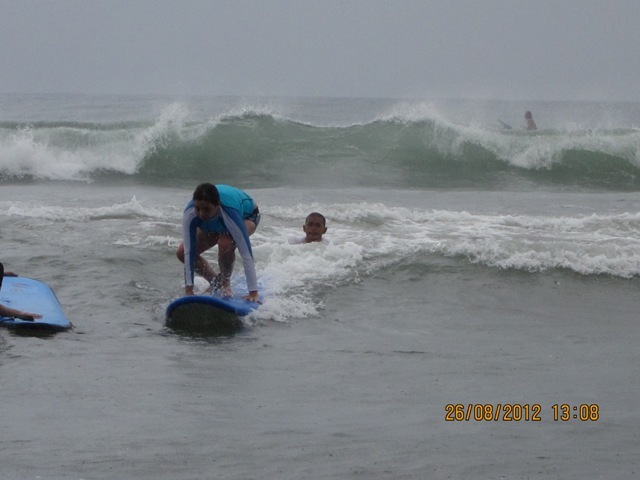 We hired some local instructors to teach us how to surf. We used long boards first since we were beginners. We practiced the techniques on how to get up on the boards on the beach first before going into the water. After a few minutes, we headed into the water to put our skills to the test! 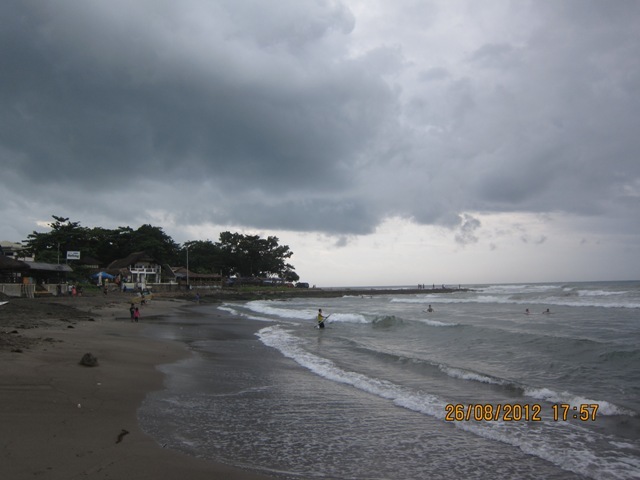 We were just a few meters from the beach. The water just reached to chest level where we started catching waves. 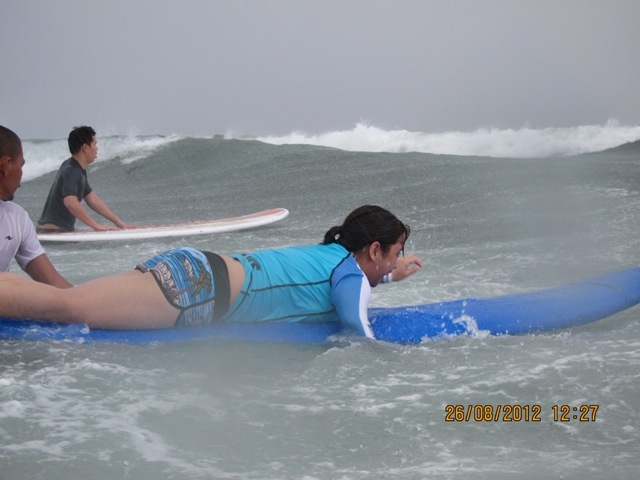 Our instructors usually just helped us position our boards and gave the signal when the wave comes in. After a few wipe outs due to nerves, I finally got up on may board and hung on for a few moments! 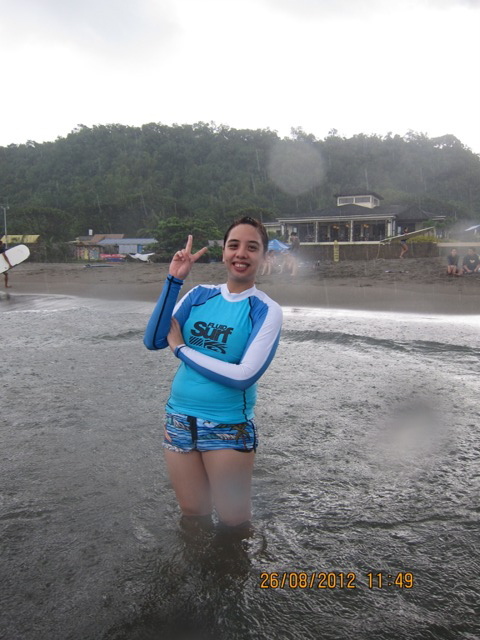 I am not sure if its the waters and waves in LU or the instructors that made the difference, but I can definitely give credit to all my yoga and Anti-Gravity Yoga Flying Fitness classes for helping me with my balance and upper body and core strength. I could really feel my arms and core working to help me stand up properly and keep my balance. I am all excited and looking forward to my next surfing trip! 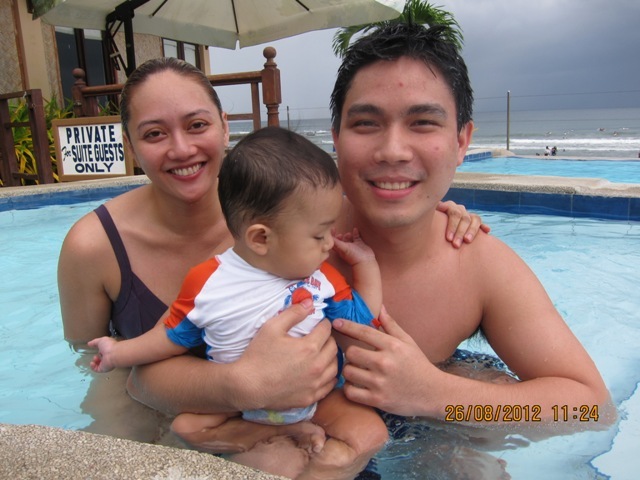 This entry was posted in Road Trip, Sports Report and tagged fitness, La Union, sports, surfing, travel by Roxanne Calingo. Bookmark the permalink.